Our versatile Guernsey features a deep double seed stitch yoke defined by bands of welting. Sleeves are picked up and knit down from the armholes for minimal finishing. 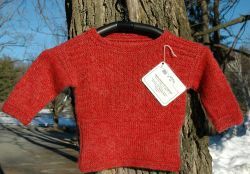 All ages and sizes love wearing this easy, circular-knit pullover. For casual dressing, knit in Mountain Mohair or Weekend Wool. 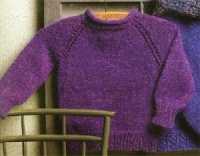 Pattern includes Children’s and Adult Sizes.